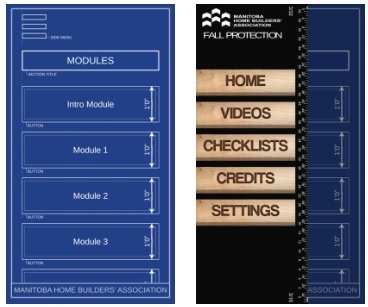 The Manitoba Homebuilders Association (MHBA) is digitalizing four safety courses using the latest technology to support the delivery of MHBA’s safety training. The safety programs will be delivered at and in partnership with the Construction Safety Association of Manitoba (CSAM). The target group or audience includes general laborers, tradespeople, new supervisors and safety trainers working in homebuilders, commercial and the heavy construction industries and transportation. It is the intention of MHBA to share these resources with the Construction Safety Association of Manitoba, Work Safely with the Manitoba Heavy Construction Association, Risk Professionally Managed, Manitoba Trucking Association, Elite Safety Services, International Brotherhood of Electrical Works, Manitoba Building Trades and other safety associations who would benefit from these interactive resources. The workplace safety and health issues to be addressed include: confined space, fall protection, scaffolding and safe use of power tools. Currently these courses are not available using this innovative and engaging approach to teaching safety. The blended/online virtual reality format will standardize safety training, allow greater access to training in rural and remote locations, increase access for refresher training, improve retention through use of different teaching strategies, provide opportunity for repetition to improve retention and reduce employees time away from work for training. Virtual reality gives safety associations the means to engage our technology savvy youth. In addition, virtual reality allows participants to experience height and confined space sensations in a safe non-threatening environment before getting into a difficult and uncomfortable situation. Students will be able to identify unsafe situations and know when additional training is required. Recent changes to legislation will demand increased training in these areas so digitalization of the courses will ensure larger audiences receive certification. This virtual reality experience will be developed by a team of experts well versed in construction safety, adult learning principles and knowledge transfer planning. Our apps can be downloaded on both Google Play and the Apple App Store! Scaffolds and ladders are commonly used on construction sites. Fatal or disabling injuries continue to result from workers falling from scaffolding that has been misused or poorly constructed on a construction site. The majority of the workers injured in scaffold accidents attribute the accident either to the planking or support giving way, or to the employee slipping or being struck by a falling object. This course covers the basics of scaffold safety and is designed for tradespeople including drywallers, siding and stucco installers, welders, millwrights, painters, power engineers, masons, insulators, ironworkers etc. so they think safety when working on a scaffold. This resource would be an effective teaching tool for use in high schools, Apprenticeship programs or for tool box talks on the job site. 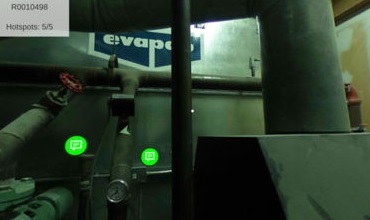 The Confined Space Awareness Virtual Reality App allows participants to experience confined space sensations in a safe non-threatening environment before getting into a difficult and uncomfortable situation. Students will be able to identify unsafe situations and know when additional training is required. The Fall Protection App focuses on the daily needs of the employee including information about the different types of fall protection, what personal protective equipment to use, emergency procedures and how to calculate fall clearances. Training will include 10 virtual reality (VR) case studies as a pre-activity/assessment to the in-class discussion/ practical application component. Explain why fall protection is important on the construction site. 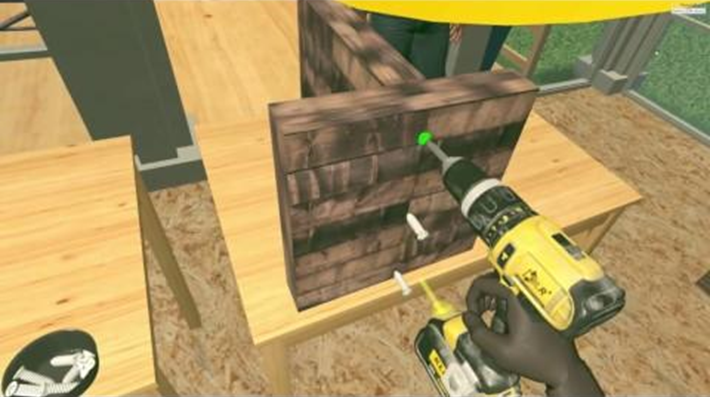 Power Tools Augmented Reality – COMING SOON! Users will experience a day on the job site through augmented reality. They will learn about the common tools used on the site and how to properly use them! 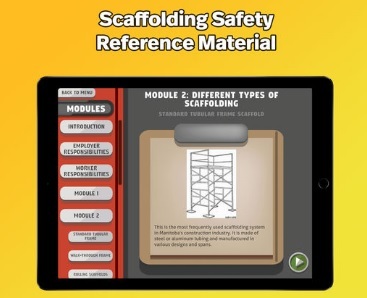 This app will teach the user about proper PPE and safe work practices will be explained. Users will have the opportunity to virtually operate the tool and many more! This App is currently still in development and will be released soon!